Like a lot of similar high street retailers and pretty much all supermarkets Primark understand that when you’re looking for a job with them, you want everything to be made easy for you so they’ve set up a dedicated website for applications and job searching. What they don't tell you is how to send a Primark application form that'll give you the best chance of getting an interview so we offer the following advice. Before you get to the application you need to work out if there are job at any of the Primark stores near where you live. These guys have 278 stores across the world, of which 167 are located in the UK and 37 are in Ireland where the firm originated. You’ll find a useful job search tool at primark.com which allows you to select your location, the job you’re interested in and whether you want full or part time work. The search is quick and simply comes up with a list of permanent and/or contract work available with a brief summary of what the job entails. Once you’ve produced the list of jobs all you have to do is to check off the jobs you’re interested in and then select “view jobs” for more information on the positions. This bit gives you a pretty good breakdown of what’s expected of workers in this position but it doesn’t have any details about the sort of money you can expect to earn. Before you can apply for a job you need to create a login. This is the normal easy Email and password process you’d expect but the next stage can be a bit of a pain. The Gateway questionnaire needs to be filled in before you can complete the application process. The questions here are designed to test a person’s common sense and they can be used in any subsequent interview so make sure you answer them yourself. You’ll find questions like “A retail store is entering the busy period of the day and the sales floor is already very busy with shoppers. The next few hours will be manic - what approach are you likely to take?” followed by a selection of possible answers. There are no right or wrong answers here so just take your time and answer them truthfully. 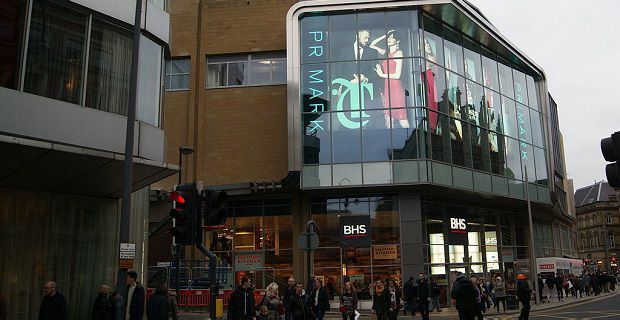 For a general overview of salaries with Primark click here.